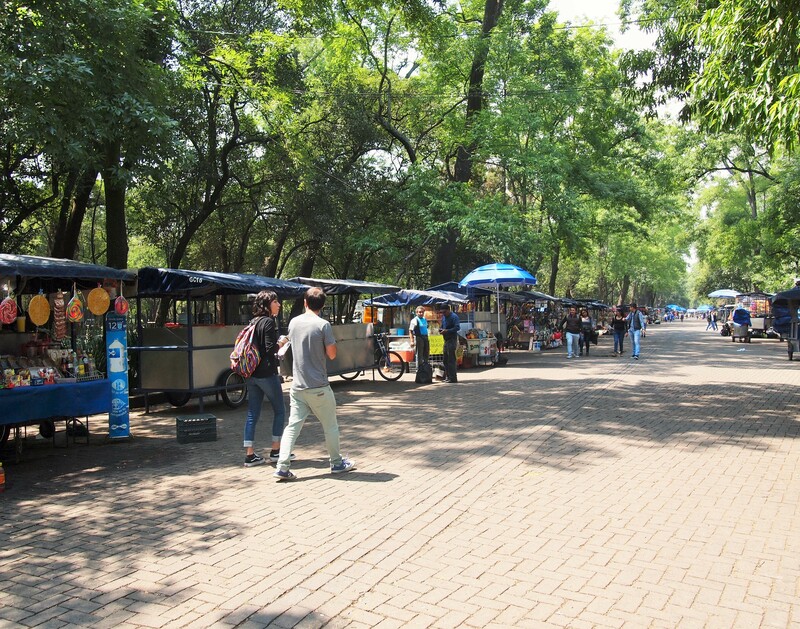 Chapultepec Park, or Bosque de Chapultepec, is Mexico City’s immense city park. 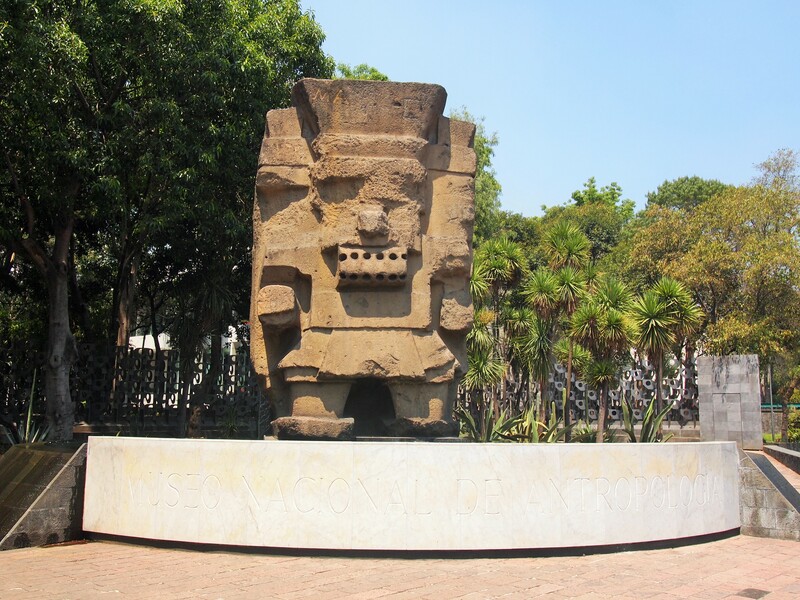 Covering over 1,600 acres west of the city center, the park is split into three sections and is home to several large attractions, most notably the Museo Nacional de Antropología. 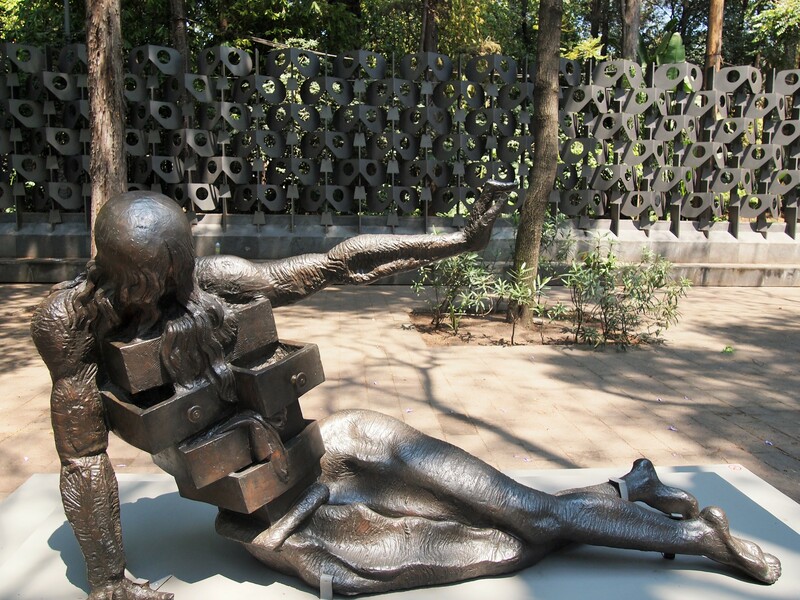 Chapultepec Park has long been an escape from the city. 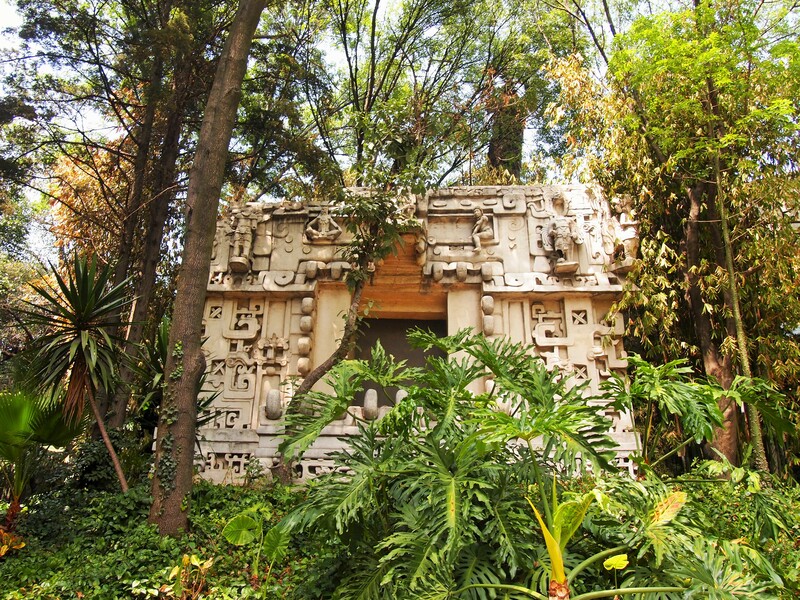 The Mexica used its natural spring waters to supply fresh water to Tenochtitlán via aqueduct, and its spring-fed pools were enjoyed by Mexica emperors. 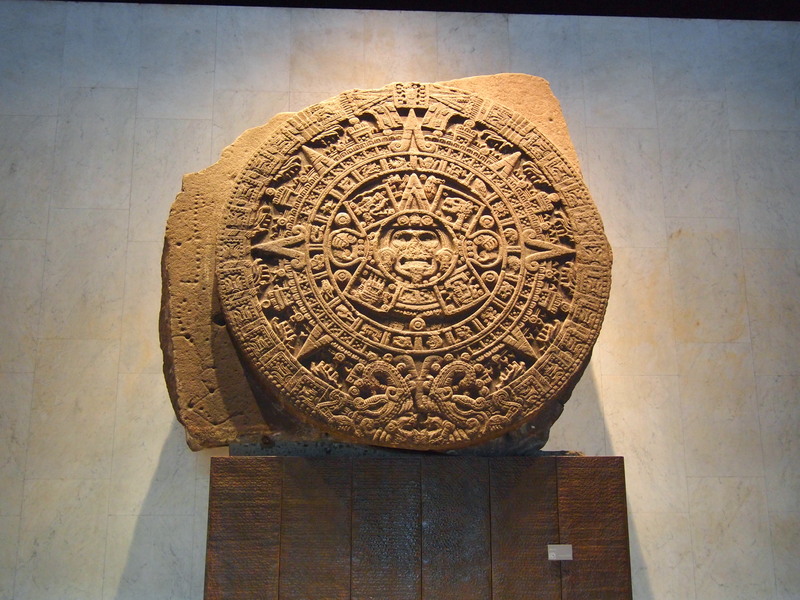 With the Mexica’s defeat the Spanish took over. 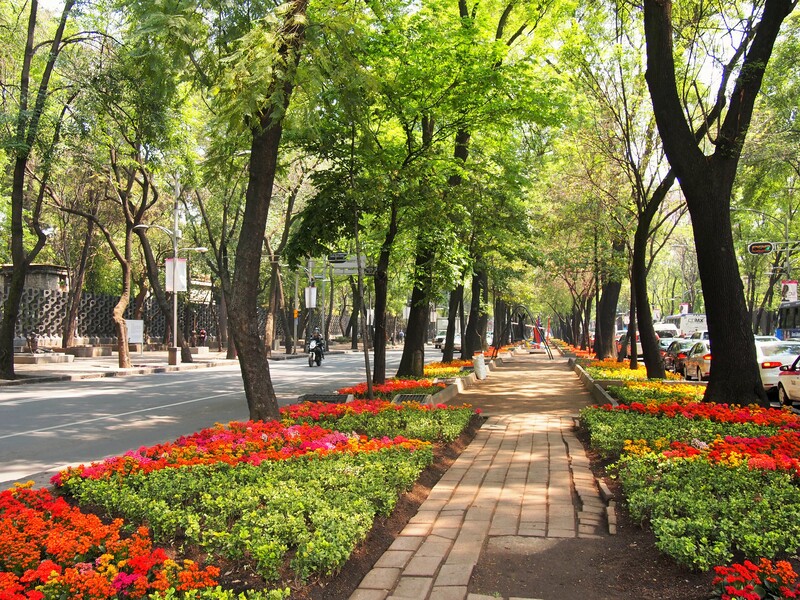 They continued to use the aqueduct to provide fresh water to their new capital and viewed Chapultepec as a country retreat. 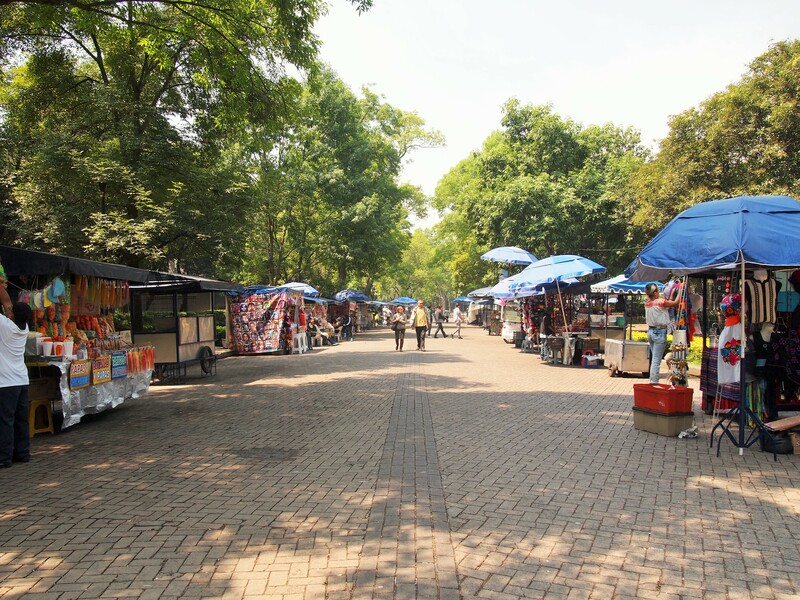 Chapultepec Park is also historically significant to the relationship between the US and Mexico. 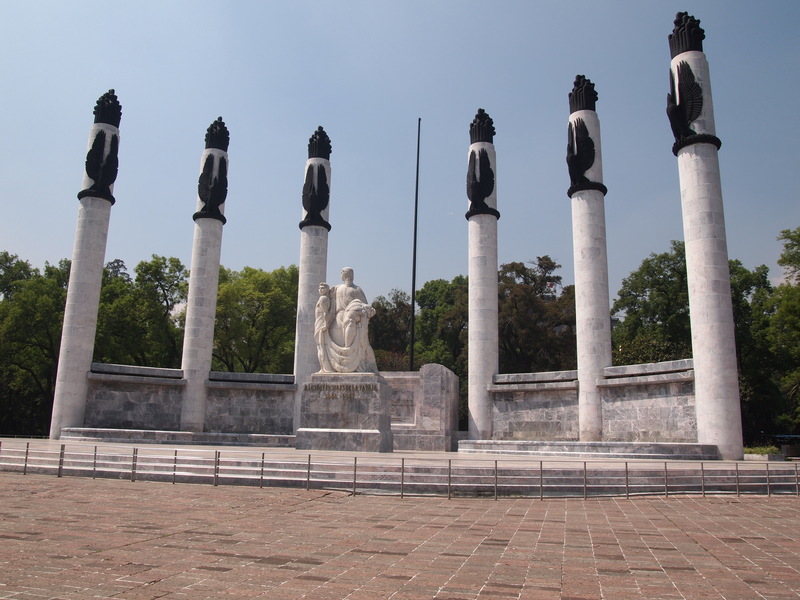 It was here in 1847, that General Winfield Scott won the final major battle of the Mexican-American War. 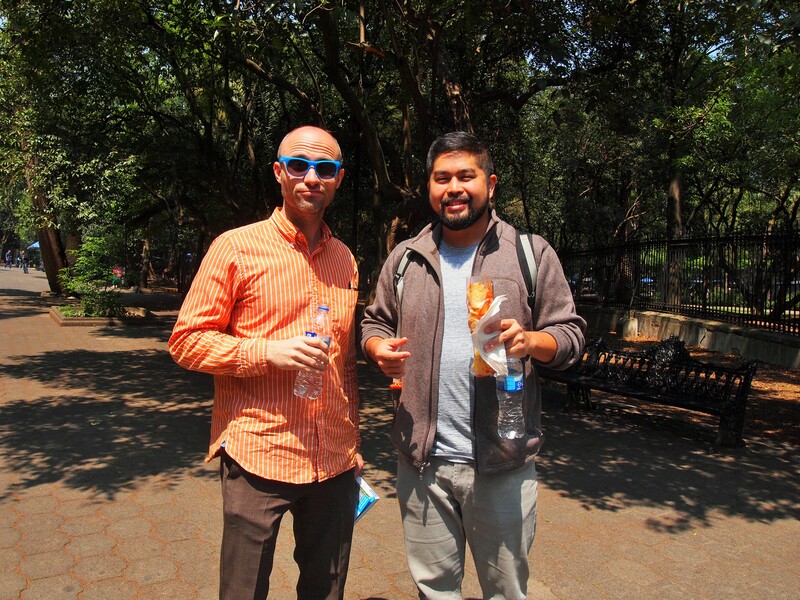 Atop a hill in Chapultepec rested Mexico City’s final defense at the Castillo de Chapultepec (Chapultepec Castle). 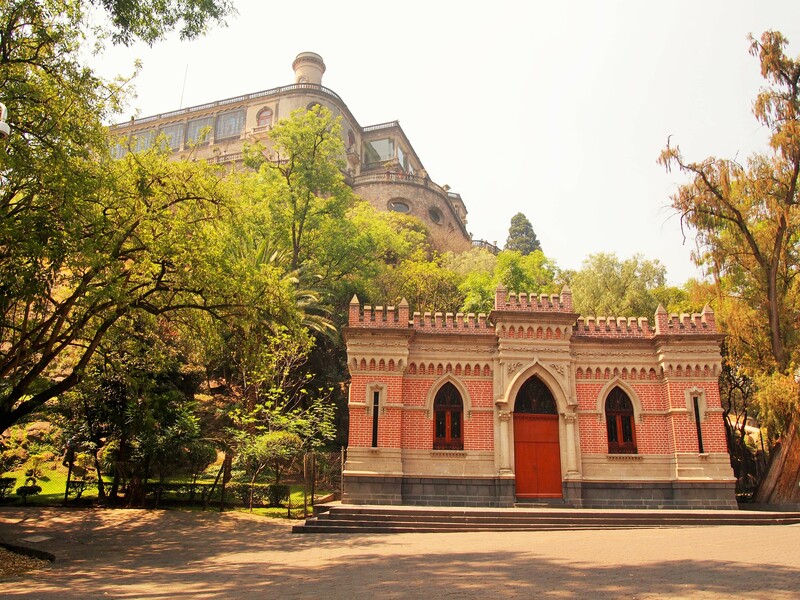 Once used as a country home for Spanish royalty, following Mexican independence the Castillo was used as a military college. 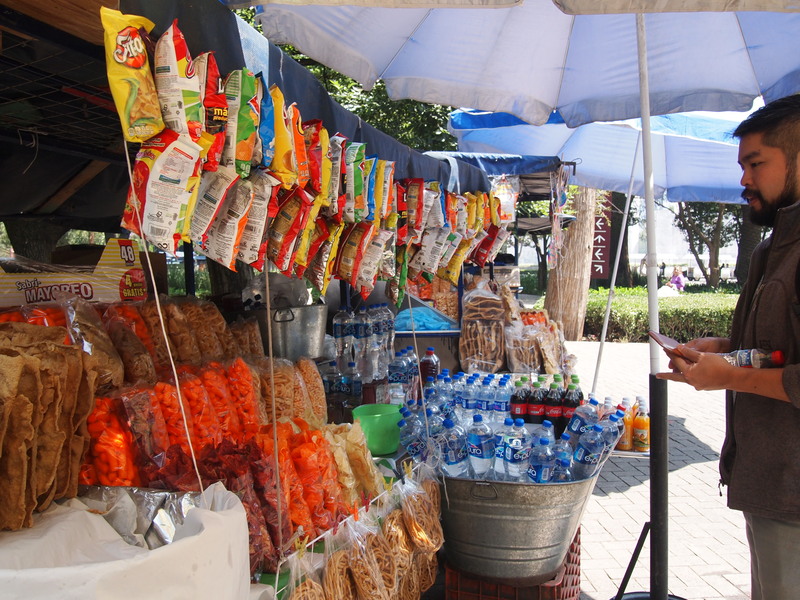 As Scott’s forces began their offensive on the castle, six young Mexican soldiers draped themselves with Mexican flags and leapt from the castle ramparts showing they would rather die than surrender the Castillo. 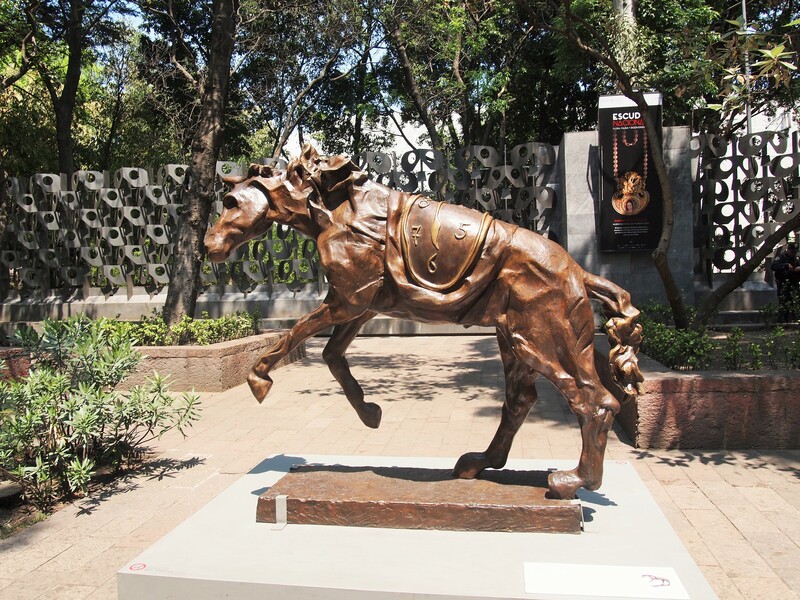 The following day, American troops marched into Mexico City and the American flag was flown over the Palacio Nacional, giving rise to the lyric “Halls of Montezuma” in the Marine Hymn. Santa Anna later signed the Treaty of Guadalupe Hidalgo ceding territory that is now the American Southwest to the US and ending the war. Though we didn’t have time to visit the Castillo, it’s on our list for future visits as it now houses the Museo Nacional de Historia. 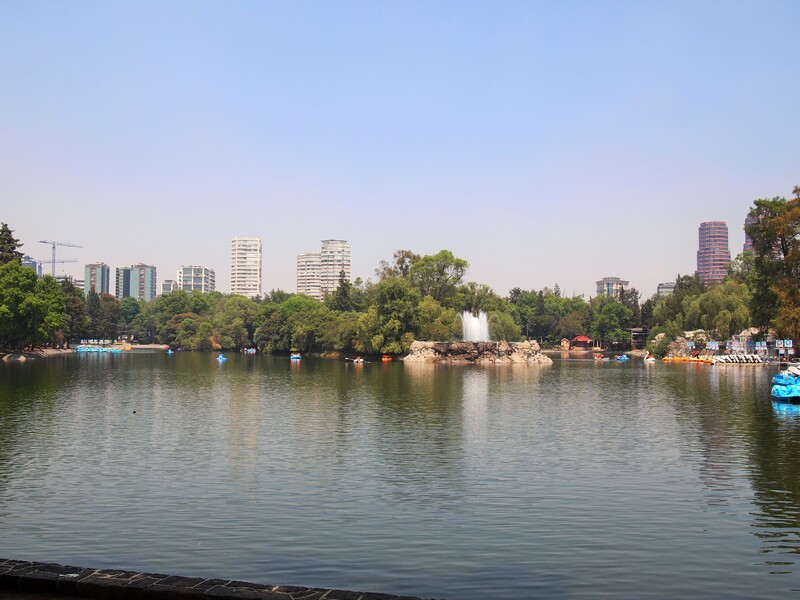 We did wander through the first section of the park near the Castillo and we caught a little glimpse before continuing on, past the Lago de Chapultepec, to the Museo Nacional de Antropología. 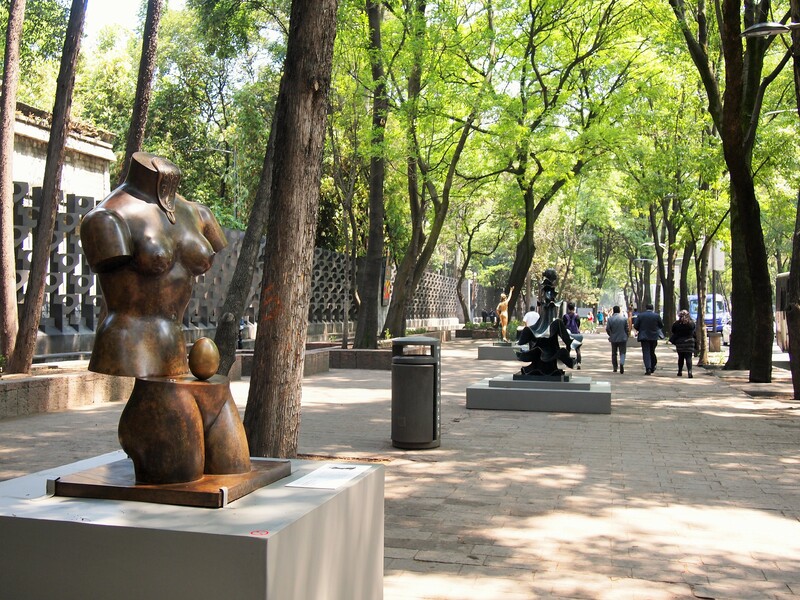 Along the Paseo de la Reforma, in front of the anthropology museum, was a special exhibition of twenty Salvador Dalí sculptures put on by Museo Soumaya – such an unexpected treat! 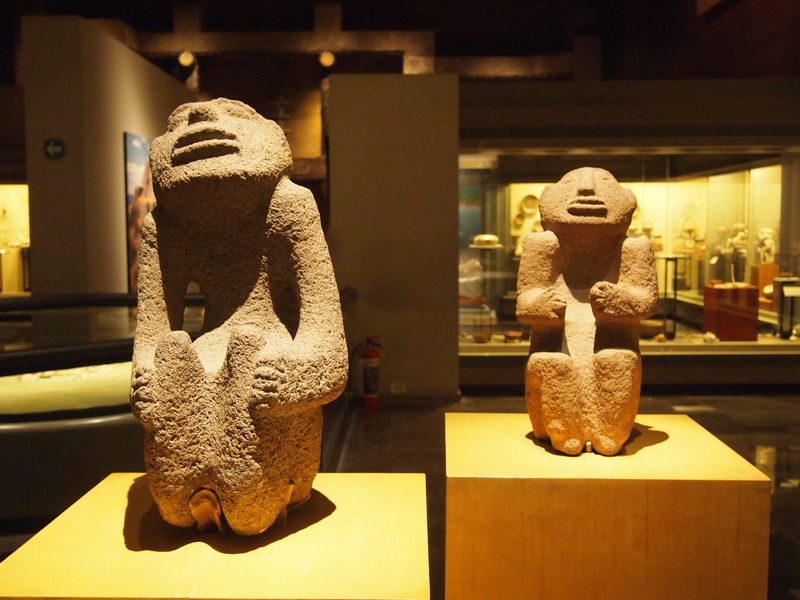 The Museo Nacional de Antropología is one of the best anthropology museums in the world. It’s certainly one of the finest museums I’ve ever had the pleasure to visit. 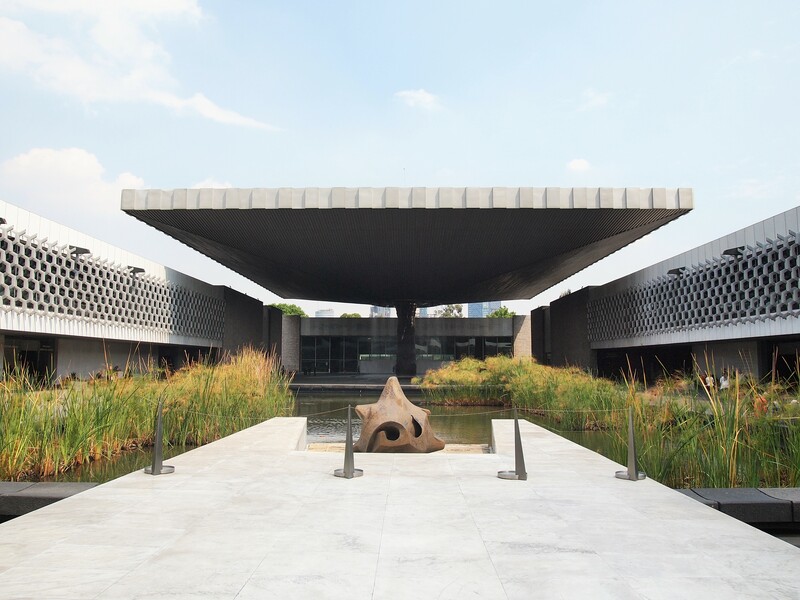 The current building opened in 1964 and contains two U-shaped floors of jaw-dropping artifacts. 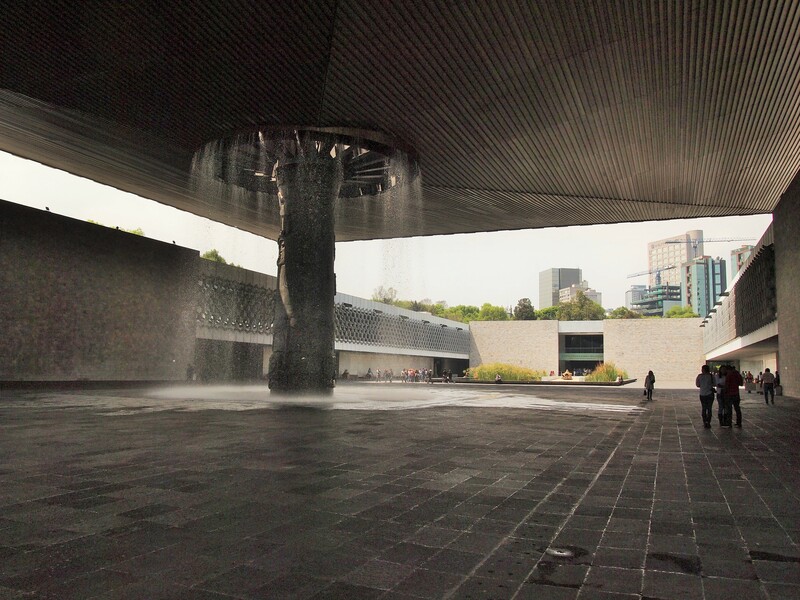 While the first floors are devoted to the archaeology of Mexico’s pre-Columbian past, the second is centered on the ethnography of Mexico’s current native cultures. 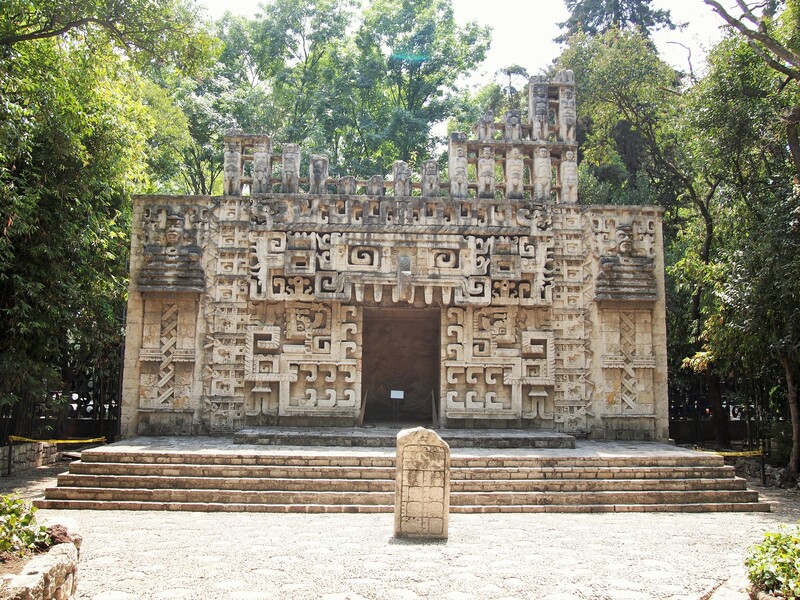 Each floor is divided into rooms which center on a particular region of Mexico and its inhabitants. 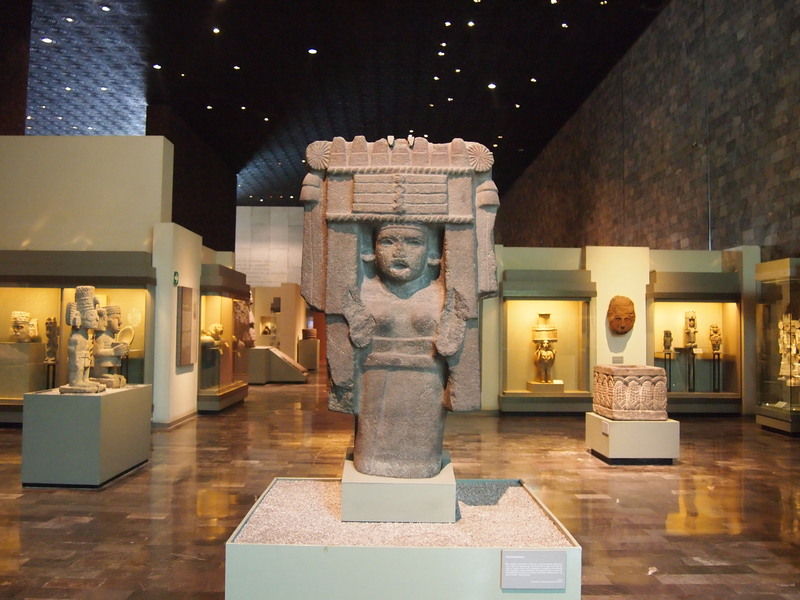 The museum is similar to the Museo Templo Mayor in that multiple artifacts and sculptures are displayed in the open, allowing visitors to see the piece from all angles and experience it more personally. 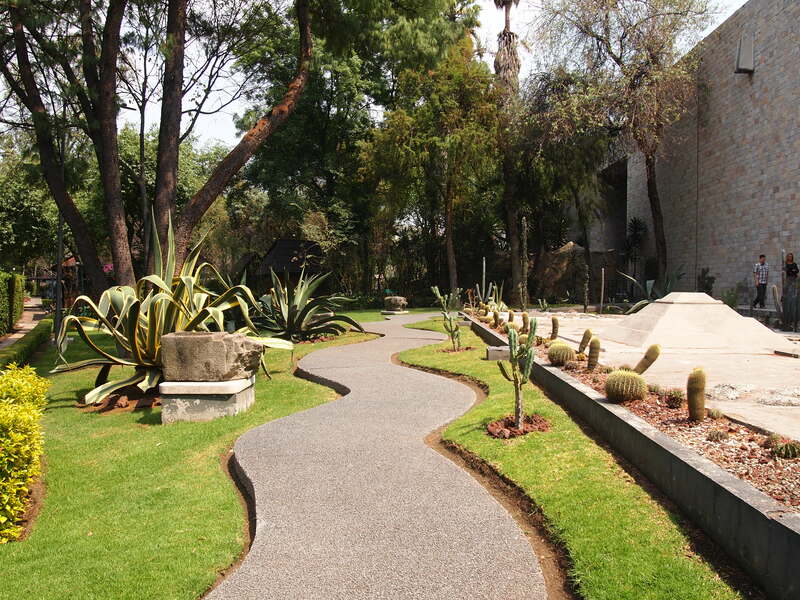 Despite the division of space, the museum has a great flow; some rooms even lead outdoors to replicas that have been installed on the grounds. We devoted 2.5 hours to the first floor of the museum alone and it wasn’t nearly sufficient. 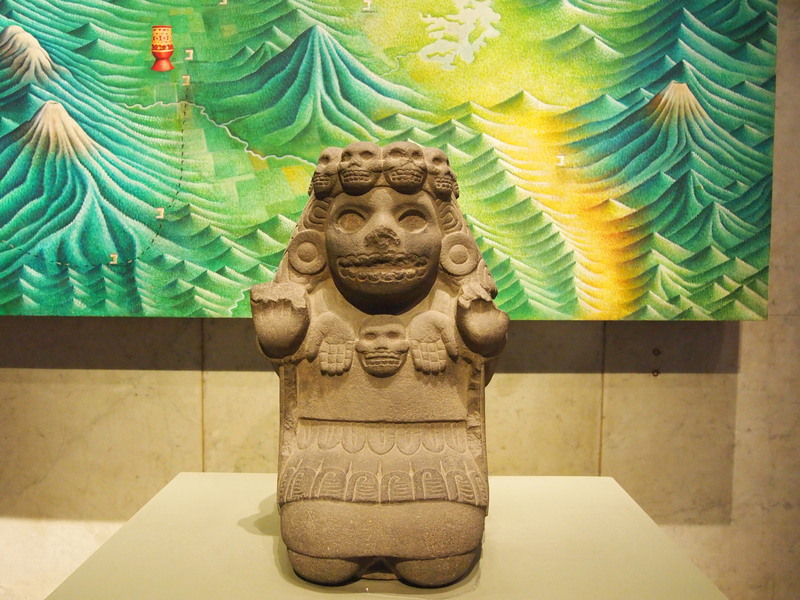 We started with the Culturas del Norte – which included indigenous groups in the American Southwest – and moved through every region of Mexico highlighting significant groups like the Olmecs, Toltecs, Maya, Mexica, and Zapotecs. It was fascinating. 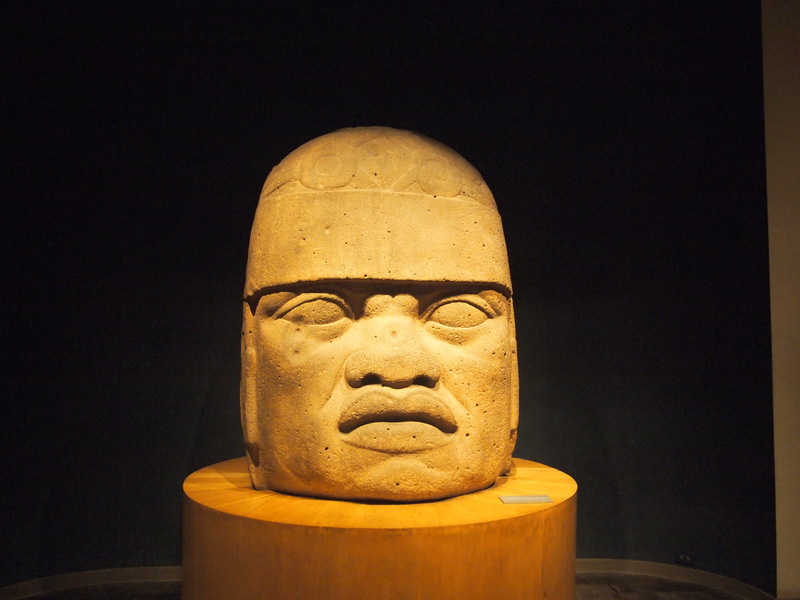 I feel privileged to have seen so many incredible artifacts. I highly recommend this museum. It’s exquisite. 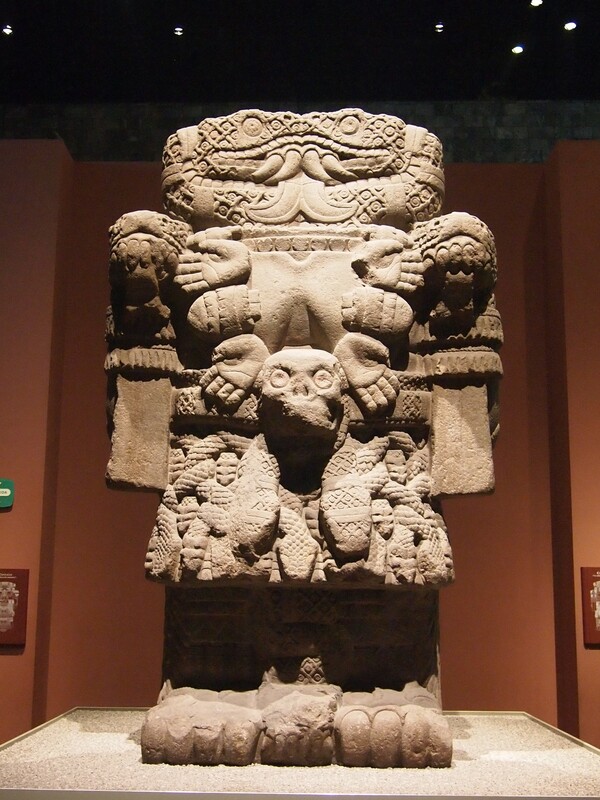 Coatlicue, the Mexica goddess of the Earth. 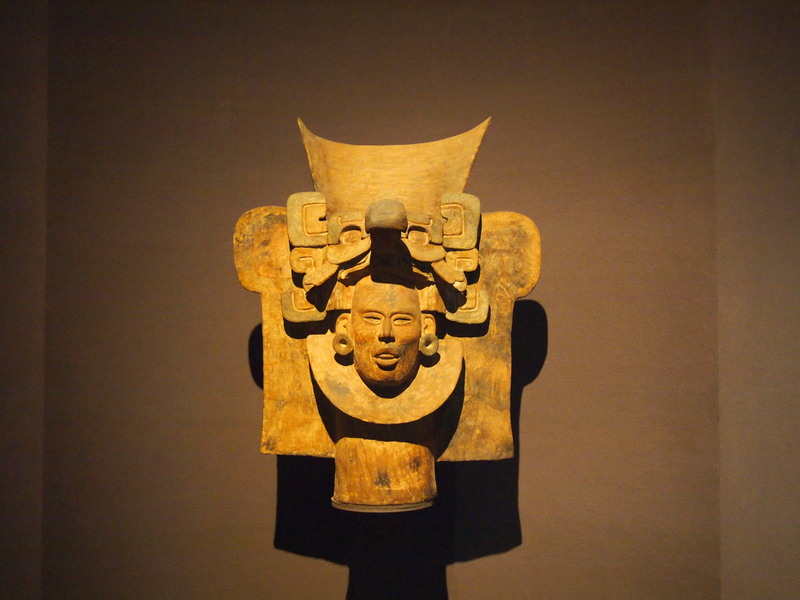 In Nahuatl, Serpent Skirt. 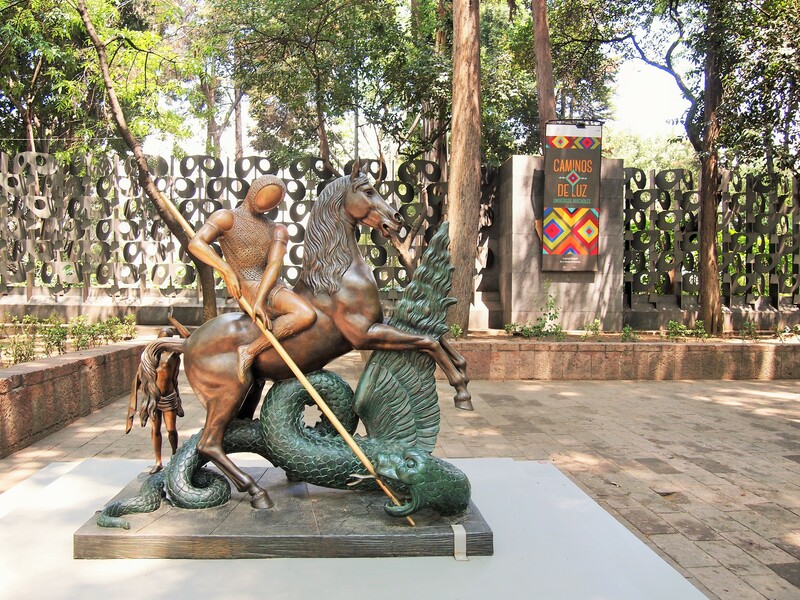 Cihuacóatl, another version of Coatlicue. She is the goddess of warriors and mothers who die during childbirth. 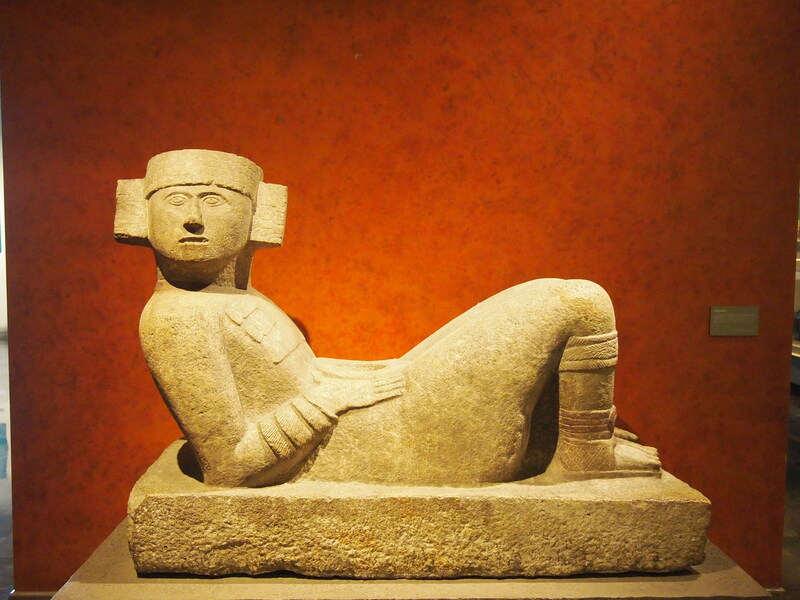 In Nahuatl, Snake Woman.